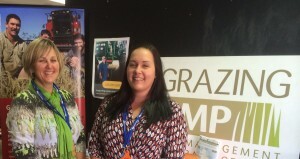 Connect, network, inspire – these are the things that happen at a Queensland Regional, Rural and Remote Women’s Network (QRRRWN) conference. Much laughter, a few tears and a lot of joy radiated from the central Queensland town of Biloela, host for this year’s conference. 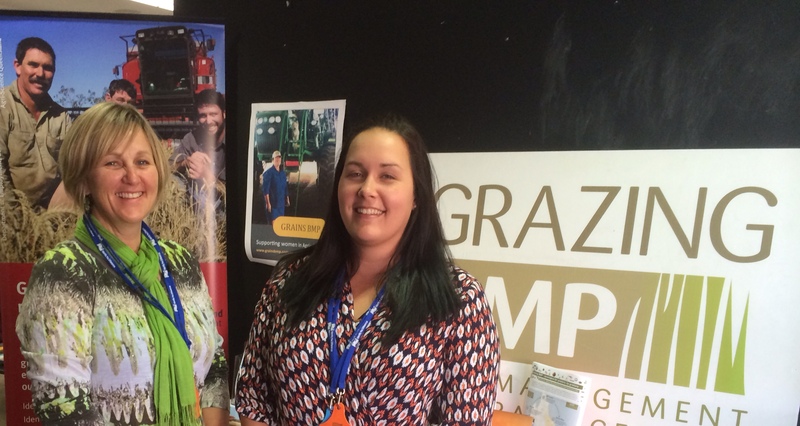 The Grains and Grazing BMP programs were proud to be part of such an uplifting event and provided a point of contact for women involved in these industries. 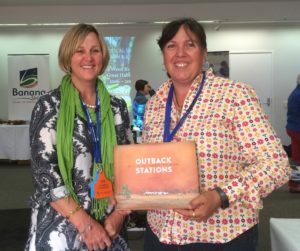 Claire Kapernick from Cloyna was the winner of the lucky entry prize – the beautiful book “Outback Stations” (kindly donated by BMP program partner – AgForce) and the chickpea and chocolate muffins baked by Hayley and Jo were enjoyed by many. Claire Kapernick (r) receiving her lucky door prize, with Jo Gangemi, DAF Biloela (l).